NOTE: This book is a standalone book and will not include any access codes. Reflecting the latest developments and emerging trends from the field, COMPTIA SECURITY+ GUIDE TO NETWORK SECURITY FUNDAMENTALS, 6e, helps you prepare for professional certification -- and career success. 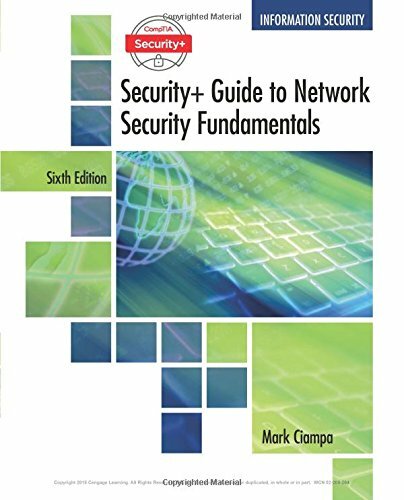 The text fully maps to the new CompTIA Security+ SY0-501 Certification Exam, providing thorough coverage of all domain objectives. In addition to its comprehensive coverage of the fundamental essentials of network and computer security, the sixth edition includes expanded coverage of embedded device security, attacks and defenses, and new software tools to assess security. Practical, Hands-On Projects and case activities help you put what you learn into real-world practice, while the innovative Information Security Community Site connects you to additional activities, blogs, videos, and up-to-the-minute news and insights from the information security field.